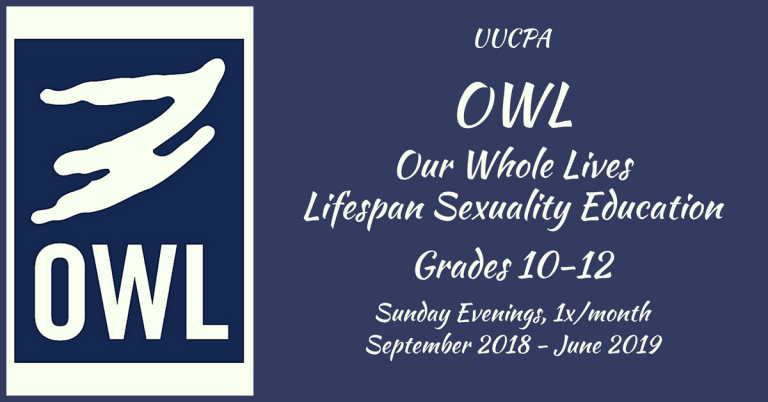 UUCPA will offer the grade 10-12 unit of the acclaimed Our Whole Lives sexuality education course this year. OWL 10-12 will meet once a month on Sunday evenings (see schedule below). 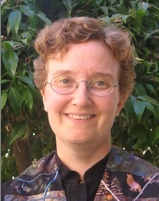 This year’s teachers will include Kevin Bourillion, experienced OWL teacher, Audrey Erbes, trained OWL teacher and retired social worker, and Robert Neff, trained OWL teacher and former SHYG advisor. If you would like your child to participate in OWL gr. 10-12, please be sure to have at least one parent attend the parent orientation on Sunday, Aug. 26. (Both parents should plan to attend if no child in your family has taken either the gr. 7-9 or the gr. 10-12 unit of OWL before.) We expect this course to fill to capacity this year, so if you can’t make the meeting be sure to email Dan danharper.uucpa@gmail.com BEFORE the meeting.